Cost-cutting measures have been a constant priority for executives across nearly every market. Reducing expenditures in one area enables a business to devote those funds to support new initiatives in other areas, driving the overall success of the enterprise. While there are numerous ways to make this happen within a business, one of the first places that many company leaders look is within their IT department. During this process, software defined technologies — including SD-WAN solutions — come up again and again as a viable means to make the most of available computing resources. As more organizations turn to SD-WAN, the market reflects considerable growth. According to the Rayno Report, the enterprise WAN services market could surpass $7.5 billion within the next four years. Much has been written about the performance benefits that SD-WAN can offer — and for good reason. An SD-WAN enables the best performance of critical applications by ensuring that each data packet takes the path of least resistance across the network. What’s more, these systems come with prioritizing capabilities built right in, meaning that an employee browsing the Web during their lunch hour won’t take priority over a staff member making an important VoIP call to a partner. The performance gains afforded by utilizing SD-WAN technology can help prevent costs associated with lost productivity. Take VoIP performance, for example. Because workers are able to complete calls without dropping the line or experiencing frustrating lag, their productivity is enhanced. They don’t have to waste time redialing or repeating themselves. This benefits their external relationships but also the perceived relationship with IT. The boost in critical application performance doesn’t just help eliminate productivity losses. This advantage can also reduce helpdesk calls, thereby saving a company time and money. Because SD-WAN supports traffic prioritization as well as instantaneous failover, employees can always access the tools they need, and leverage these assets in a streamlined manner. With a Talari SD-WAN in place, Lake Area Bank and Roundbank went from a multitude of helpdesk calls, to zero calls in connection with network issues. SD-WAN solutions also enable a business to effectively leverage all of its available network connections to their full capacity — even those that were previously only utilized for backup. While having an extra, failsafe connection like this in place is beneficial in some cases, paying for connectivity resources that are only used a fraction of the time can become considerably expensive. This is what The Hain Celestial Group discovered after installing an SD-WAN solution from Talari. The organization had several backup mobile broadband connections in place throughout its office locations, but these were not reliable, even in the event of an outage. When such an incident occurred, failover would take anywhere from 30 seconds to three minutes, slowing productivity and negatively impacting the return on investment of these backup links. Seconds and minutes matter in today’s fast moving, competitive landscape. Talari’s SD-WAN enabled Hain Celestial to leverage these backup broadband lines to boost their WAN capacity while simultaneously lowering overall network costs. SD-WAN technology can also support cost savings in terms of the types of connectivity links being utilized. Historically, T1 lines — while considered a dependable staple of network connectivity — have been expensive options. 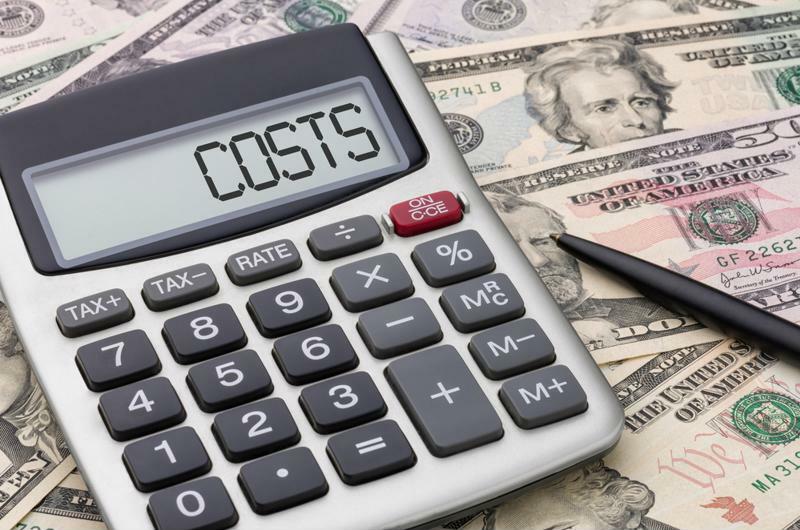 In recent years, enterprise leaders have shifted away from these costly links toward more cost-effective options like broadband. In this way, the SD-WAN supports the use of a variety of links — from broadband to MPLS and beyond — leveraging each in a way that makes the most sense for overall network performance. In addition to experiencing savings thanks to reduced helpdesk calls, Talari’s SD-WAN also enabled Lake Area Bank and Roundbank to utilize less expensive broadband as opposed to putting additional T1 lines in place when extra capacity was needed. “When I compared purchasing more T1 lines vs. using broadband and Talari, [Talari] was a much better investment,” Martfeld noted. Overall, the banks were able to achieve a 50 percent savings through Talari’s SD-WAN compared with leased lines. How much can SD-WAN technology save your company? Find out today with Talari. Even in spite of all the advantages that SD-WAN can offer, some organizations are still hesitant to put this technology in place due to concerns about the return on investment. With new acquisition models available, including subscription-based, deploying SD-WAN technology is even easier than before. Organizations that adopt SD-WAN, either as a CapEx acquisition or an OpEx line item, discover that the investment was well worth it. In many instances, it takes less time than executives might have thought to see a full return on an SD-WAN investment with a CapEx deployment model. This was the case with Equity Office Management, which deployed Talari’s SD-WAN to resolve issues in connection with critical application performance. Not only was the business able to cut its WAN costs in half, it also saw a full return in less than a year. Chavdar Momchev, Equity Office Management’s director of voice and data communications, calculated a 10-month return on investment, including the capital cost. Still unsure about how an SD-WAN solution will play out within your organization? Talari is here to help with our WAN Connectivity Savings Calculator, a custom platform that takes into account your business’s unique network situation and shows just how much our SD-WAN solution can save you. To find out more, check out our Savings Calculator and contact us for a custom demonstration of our SD-WAN today.